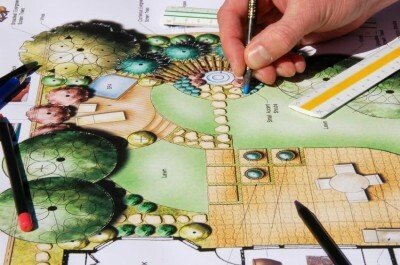 4 Reasons to Plan Your Landscape Project Early - Legends Landscape Supply Inc. When planning a summer landscaping project it's important to think ahead. While the winter, with the snow, cold and frozen soil may feel like an odd time to start planning a summer project it is one the best times to start doing so. By starting your project in advance you help assure its success. Here are four reasons why you should start early on your summer landscaping project. Landscapers do a good majority of their work in the spring and summertime. The last thing you want to do is try to schedule a landscaping job during the busy season. Odds are the best landscapers are already booked and most wouldn’t have the time to do a job for you even if they wanted to. By planning your project out with a professional during the winter months you assure that you already have your spot on their client list when the work season begins. Landscaping jobs are time consuming and expensive endeavors. By planning your landscaping project early you’ll have the time you need to assure the project goes through without any easily avoided issues, such as ensuring you have the right soil mixture. More time at your disposal is advantageous to both you and the landscaper you're working with. The extra time can be used to perfect the landscaping design, address any issues in the plan itself, and address budget and cost issues if they arise. Some landscaping work requires proper paperwork. Now this can greatly vary depending on your location and local zoning laws. You may not need to file any paperwork at all. However, if you do need to file something you want the time to be able to do so. Not having the proper forms can slow down a renovation project and drag out time and expense. By planning ahead you have the time frame you need to have all the paperwork in place before the project even begins. Winter is actually a good time to be planning changes to your property from a purely visual perspective. Trees have lost their leaves, plants have retreated for the winter, and snow is on the ground. This gives you a better view of the space and topography of your property and what you can do with it. With a clear perspective of the area you have to work with you can be more precise and daring in your landscaping design. As you can see the reasons for planning your summer project early are many. By starting early you assure you have a well thought out plan in place and a professional hired to make it a reality. When you need supplies to get your landscape project moving, we're here to help. Contact us for an estimate today. Written on Tuesday, February 03, 2015.